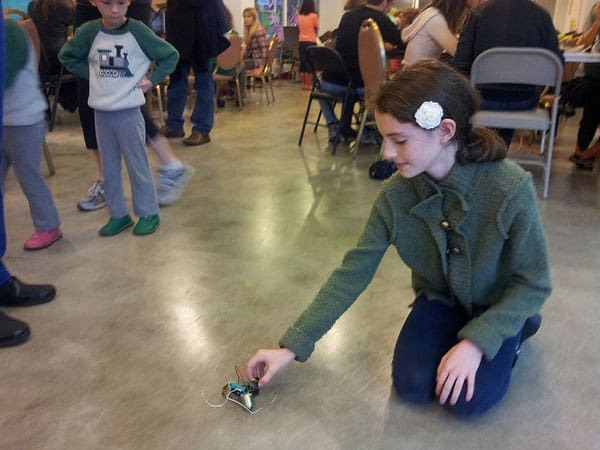 LA Makerspace launched last year around the same time that we started Built by Kids. The people behind the LA Makerspace put months of planning into their mission and finding the right space. Led by Tara Tiger Brown, the LA Makerspace held monthly meetings organized on Meetup to introduce themselves to the community as well as plan maker events for their families. Tara and the LA Makerspace Board of Directors continued enthusiasm and dedication to establishing the LA Makerspace culminated with a successful Kickstarter campaign that not only raised $34,00 (more than double their goal) but introduced LA Makerspace to the greater maker community. 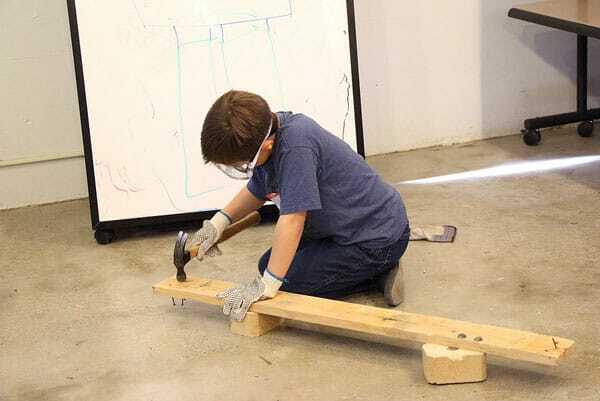 Tara’s husband Sean Bonner is a c0-founder of Crash Space in Culver City, CA so they were no strangers to hackerspaces but the LA Makerspace encourages do-it-yourself for all ages. 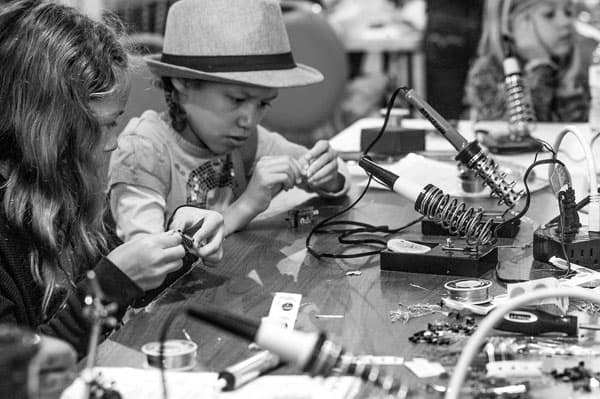 Their self-description, “A non-profit member driven community space for makers, tinkerers and DIYers of all ages to create and collaborate.” Love it!!! We had the pleasure to attend the Halloween event last year which was amazing. 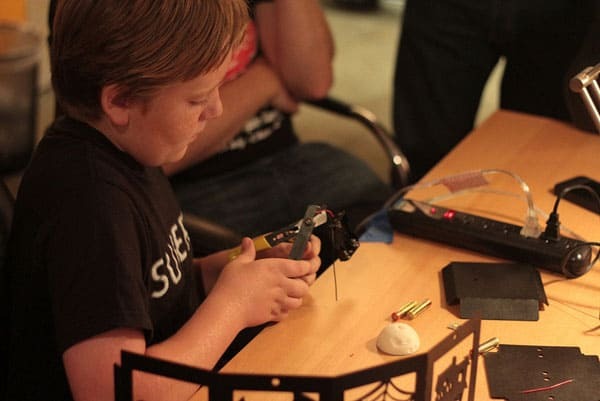 There were stations setup to teach children how to apply Hollywood horror makeup (from a Hollywood makeup artist), 3D printing and work with clay circuits. 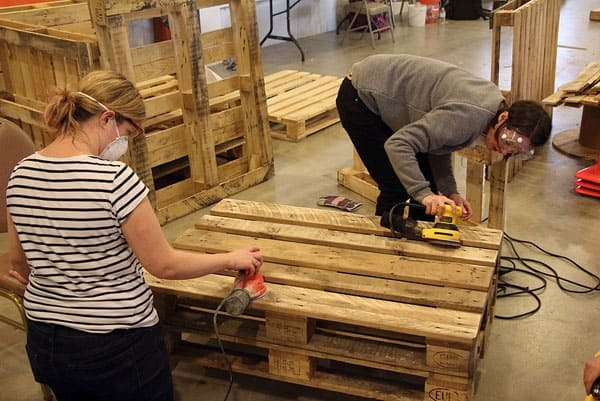 They had just moved into their new space and continue to build it out with upcycled furniture (like a pallet couch) and refurbished tools. LA Makerspace offers a ton of great courses and every teacher seems to be at the top of their industry. You can check out their calendar of events here and they also have open maker times where you can just drop in and tinker with 3D printers, woodworking tools, sewing machines and electronic workstations. 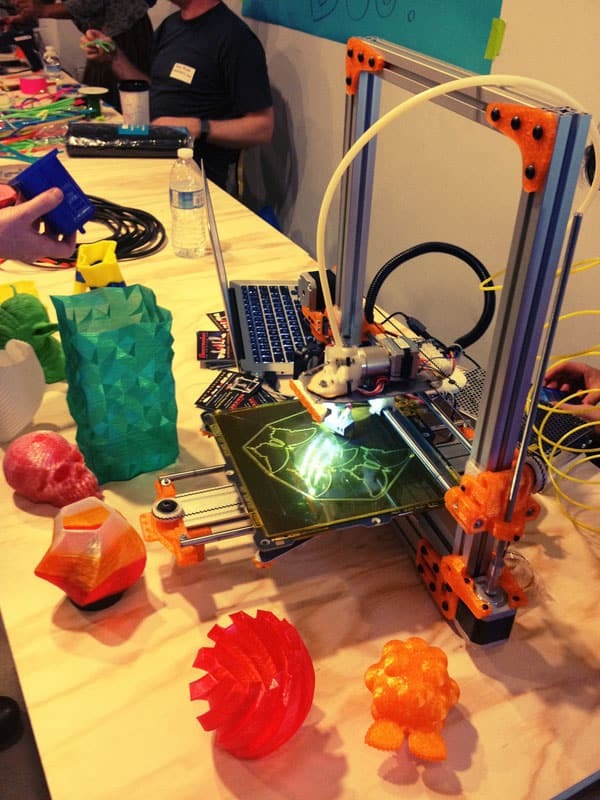 This year LA Makerspace is offering Summer Maker Camps starting June 24th. 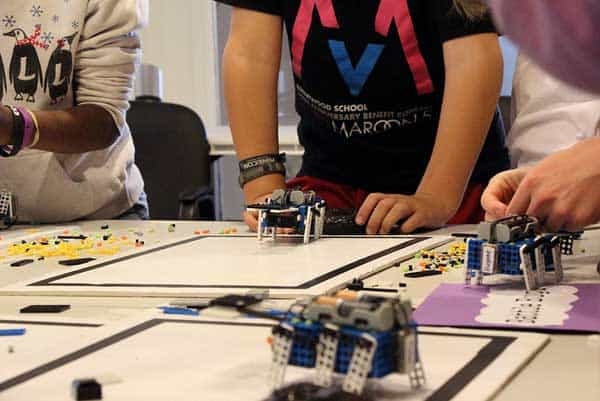 These camps will run for a week through August 23rd and cover themes such as 3D Printing, Minecraft, Papercraft, Board Game Design, Hacking and Game Development on Ouya, 3D Scanning and Printing Dinosaur Bones with the Natural History Museum, Creative Writing, Interactive Media with USC Cinema School and much more. 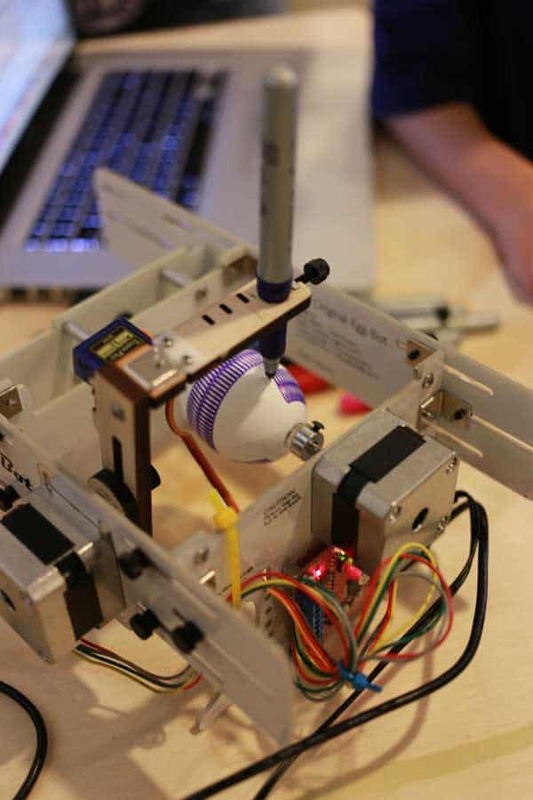 Read more on their blog about the Summer Maker Camps and sign up soon as space will fill up quickly. 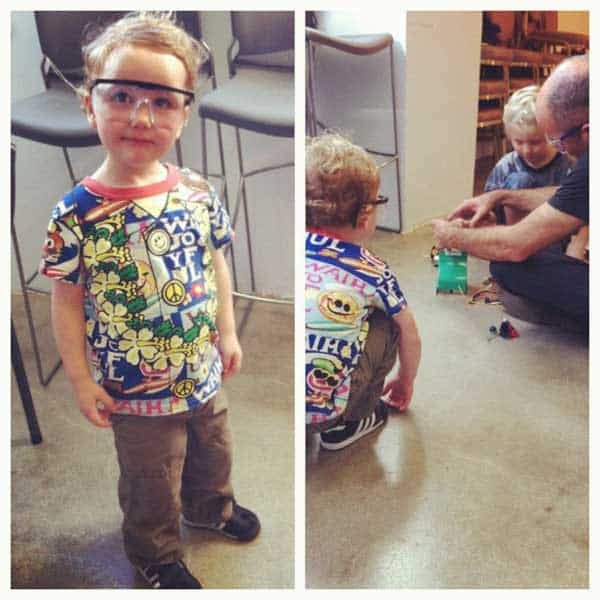 More photos from all the cool events and activities at the LA Makerspace. 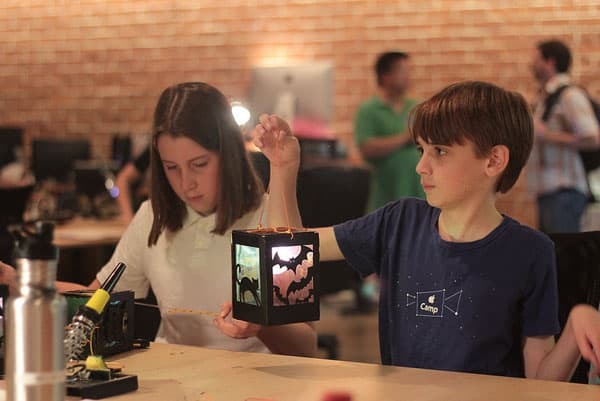 If you live in the Los Angeles area and are seeking a family alternative to going to the movies or spending money buying video games, check out membership at the LA Makerspace. Keep in touch by following them on Facebook and Twitter.